1) Defense Cooperation Agreement – Guarantees expansion of exchanges in training and develop defense cooperation between parties. 2) Tourism Joint Action Program 2017-2019 – Commitment of both countries to promote each other’s tourism industry. 3) Memorandum of Understanding on Agriculture Cooperation – Contains assurance of cooperation through research and studies in agriculture and fisheries, processing and transportation of agriculture and fishery products. 4) Protocol on Cooperation between the National Commission for Culture and the Arts of the Philippines and the Ministry of Culture for the Russian Federation – Forging cultural exchanges and participation of both countries in each other’s international film and art festivals. Joint holding of cultural events and celebrations are included. 5) Agreement on Cooperation on Transportation – Government transportation agencies of both countries to hold exchanges in technology and best practices. 6) Memorandum of Intent between the Philippines’ Department of Trade and Industry and Russia’s Ministry of Economic Development – Creating a stronger and mutually beneficial investment and trade environment that will include the holding of business missions and trade activities. 7) Memorandum of Understanding on Cooperation in Industry Development – Philippines and Russia to pursue promotion of their respective industrial sectors and ensure cooperation in helping respective firms to enter into subcontracting deals for various industries. 8) Memorandum of Agreement between the Department of Science and Technology of the Philippines and the State Atomic Energy Corporation (ROSATOM) on the Use of Nuclear Energy for Peaceful Purposes – The deal centers on the exchange of technological know-how and experiences in the use of nuclear energy in power supply. 9) Agreement on Exchange of Intelligence Information. 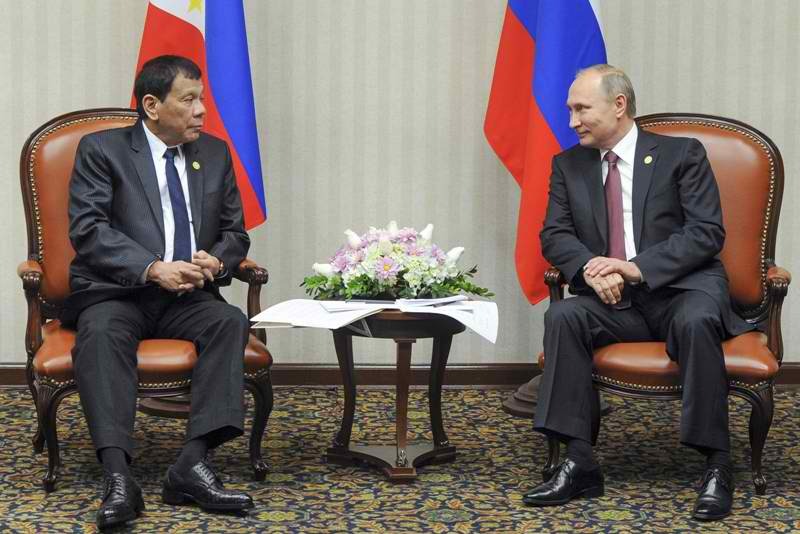 The deal binds both Philippines and Russia to share vital intelligence information to address their respective security and criminal threats. 10) Agreement on Plan of Consultations between the Department of Foreign Affairs of Philippines and Ministry of Foreign Affairs Russia. This guarantees better interaction between the various offices of the two countries.